If you have always considered a life as a writer but you’re not sure where to start, you may want to consider freelancing. 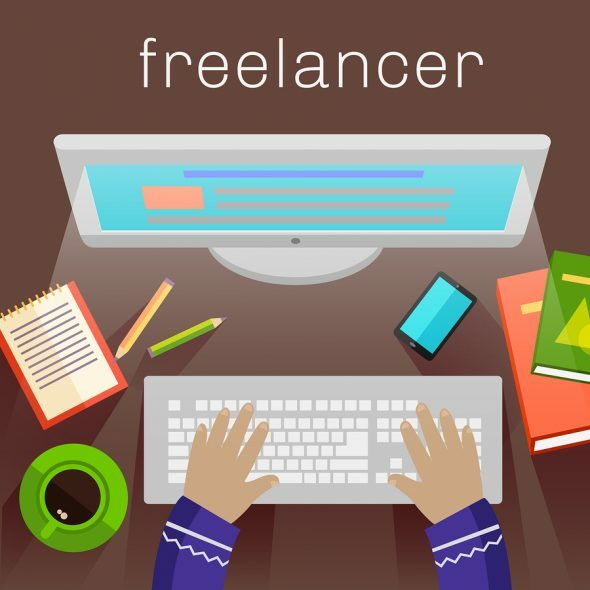 Freelance writers can make up to $100,000 per year or more, provided they connect with the highest-paying clients and have a strategy for developing their freelance writing career. Why is freelance writing needed? Freelance writing is needed by both publishers and business sites or blogs due to the sheer amount of content it takes to keep their sites high in the rankings, as well as to draw in views from their target audience. People will pay for high-value content and they are often on the lookout for skilled writers. But where do you start if you are just beginning your career as a freelance writer? 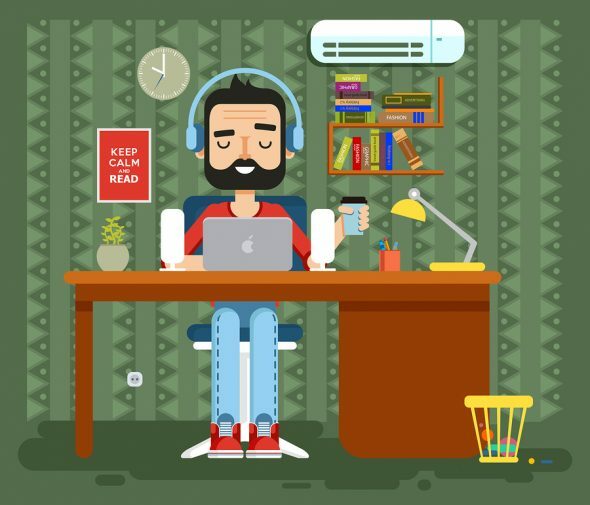 While there is no exact technique or procedure that you should follow every time in order to achieve success as a freelancer or ghostwriter, there are some basic tenets that are important to keep in mind. We hope this article will help you get started. First, no one started out as Ernest Hemingway the first time they wrote an essay. The same is true of freelance writing. In that way, it is no different than any other professional. You have to prove yourself first. You can do this in a number of ways but the main thing you have to do is to convince the publishers that you have what they need: great content. If you are dealing with an individual blogger or website owner, the same is true. So, when you are applying for work with a website or blog, first read the website or blog thoroughly and get a feel for the voice they are trying to capture. Remember, as a blogger or ghostwriter, there should not be much difference between the way the original blogger sounds and the way you sound. So try to capture the tone and style of the blog before you submit a sample piece. Paying dues also refers to the fact that you will not make a large amount of money just starting out. Be honest if you are a noob, but show your natural talent to get your first gigs. You may even have to write a few free at the onset. Then, as you get more publishers to trust you, you can increase your rate. Blog owners and website owners are looking for specialization. This is because their websites and blogs are specialized in a specific niche area. So you need to have a good knowledge base of the material that you are writing about. If you want to write about gardening, for example, make sure you have a general knowledge base about how to tend to gardens, how to select plants or seeds, and how to maintain a garden. You can learn more as you go but your basic knowledge in the area you are choosing to specialize in should be broad. Not only is it important for a freelance writer to understand what their best writing skills and expertise are in, it should also be provided through outsourced writing platforms as well. Take a look at Bid4papers which specializes in essay writing. The more they know about their target audience (students) and how to provide them with the best value possible, the better the writers they can bring in, while also building a quality service and business model in the process. This is not a job interview, but it is similar. Whenever I submit content to a new client for the first time, I always pull my “best card” from the deck. By that, I mean that I think about what experience I have had (either writing or life experience) that could add real value to my posts for a specific website or client, then use that “card.” For example, if I want to write for a media or news publisher, I might tell them about my Radio-TV degree and the fact that I worked for commercial radio for 12 years. If I am writing for a restaurant, I should talk about how I love good food and offer some tips on how to bring in customers to a restaurant. Anything you can use to differentiate yourself from your competition is fair game. Another strategy you can use to getting jobs as a freelance writer is to apply several places. You never known which publisher might take to your work so it’s a good idea to put your work out there to several. However, it’s important to remember that, if you submit an original piece that has not been published yet, you can only sell full rights to one of them. So you should usually go with the one who pays the best rate, then withdraw your sample from the others. You also should decide how much money you need to make to support yourself and go for publishers that can pay your rate. Publishers do not know where or if you are publishing your work, so they depend on you to be straightforward with them about which ones are sold, published, or unpublished. Usually, publishers just want to get a feel for your style and ability so they can see if it is a good fit for their website or publication. So any sample of previous work will work, but make sure it is relevant to their topic. They are also looking for knowledge in their industry. Once you do land a great job following the above principles, make sure you follow up on your promise to provide great content. Publishers want content that entertains and informs. People read blogs for information, not for a sales ad. If you make your content too sales-oriented, you will lose your target audience. The whole idea of a blog is to step away from the sales copy that is on your website about your brand and offer something free for your potential customers that has value. Then, if they like the information they got from you, they may return to do business with you later. So, while the goal of a blog is to lead customers to a website, this fact cannot be obvious and sales copy should be left at the door. Writing for a blog requires empathy for the reader, an understanding of what they value, and an ability to make the reader feel comfortable with a brand or website. It’s not about sales, even if that is the goal. So, freelance writers should be able to be a number of things for their clients. They should be able to capture the voice of the site or blog, provide valuable information that leads the reader to the client’s website, but to do it in a subtle way so that it is not like sales copy. This requires a unique skill but it is one that can be developed with practice. Unlike in the real world where you can show potential clients your work in person, you deal with online clients in a virtual environment. So you need something to show them what you can do. You can create a digital online portfolio such as a blog or a sample copy of your work to illustrate your ability to do ghostwriting. Putting your portfolio on high-profile sites such as Upwork or Freelancer.com might be a way to gain exposure. Other things you can do to draw attention to your freelance ability is to create Amazon Kindle shorts (short articles or eBooks) for people to download or create your own website displaying your work. It’s also important to make sure you have a professional photo and bio that can easily be seen when browsing through a freelance writer directory. You should also think about whether you want to write for publishers or websites. There is a difference in their expectations and format, so you should get to know what they want before submitting content. Being a freelance or ghostwriter also requires that you are willing to give up your rights to some content. While most magazines and some online publications will give you credit and a byline for your work, most websites or blogs do not. Ghostwriting involves getting paid for posing as the author or individual who has hired you to write the copy because they either do not have the time or the skills to do it. There are also many online courses dedicated to how to become a better writer and building a business and brand around your expertise. You do get paid but you do not get credit as a ghostwriter. You are also not allowed to share the fact that you wrote this copy with anyone. All of these things should help you. But the best thing you can do after you’ve researched it is just to get started.